How much is pickup truck insurance? Do you need pickup truck insurance? We can help you get pickup truck insurance quotes. There’s nothing quite like hitting the road in your pickup truck. With the windows rolled down and the sun shining on your face, that truck is one of your favorite places. But it’s essential that you make sure your pickup is properly insured. If something were to happen - a car accident or other mishap - you would need the right coverage to protect yourself legally and get your truck back on the road. And we can help you get the pickup truck insurance you need, whether you have a Silverado, Ram, or Ford F-series vehicle. It’s easy to get truck insurance quotes when you work with our team. A pickup truck is a small truck with a closed-in cab and an open bed with a tailgate. 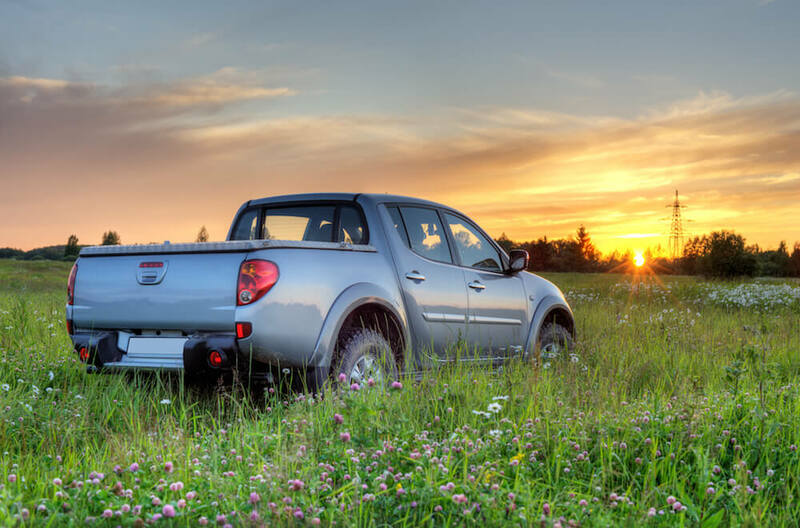 Though pickup trucks were once used with the intent of being work vehicles used to haul loads, today many pickup trucks are used as passenger cars. There are different types of pickup trucks, with some being intended for lighter duty and some intended for heavier duty. What are the recommended coverages for a pickup truck? Auto liability covers the costs that you’re legally obligated to pay to someone if you’re at-fault in a car accident. Bodily injury liability covers injuries that you cause to someone else in a car accident. Medical bills and lost wages for the person that you injured are included within BI, and it can also help you with your legal fees. Note that BI does not cover the costs of your medical bills or damage to your property if you’re in an accident. Bodily injury liability coverage is required in most states. Property damage liability covers damage that you (or someone borrowing your car with your permission) might cause to someone else’s property. It can also cover legal fees if the injured party files a lawsuit against you. This will help you get your truck back on the road ASAP if it’s in an accident or is otherwise damaged. Your auto liability will not pay to have damages to your truck repaired. There are two sections to physical damage coverage: collision coverage and comprehensive coverage. Collision coverage will help you cover the expenses of having your pickup truck repaired following an accident so that you can get back behind the wheel. This covers medical expenses for you and your passengers if you’re injured in a car accident (this is a no-fault coverage.) It may also cover you and your family members if you’re injured while riding in someone else’s car or if you’re hit while walking or biking. This coverage will protect you if you’re hit by a driver who does not have insurance (UI) or does not have enough insurance (UIM) to cover your loss from the accident. It will also cover you if you’re struck by a hit-and-run driver and if you’re hit while you’re a pedestrian. How much does pickup truck insurance cost? The only way that you can get an accurate idea of the cost of pickup truck insurance for your business is to get a quote. We can help you get the best possible rate for your truck insurance. Our agents are pros at helping people shop their insurance rates, and they also enjoy making insurance easy. When you work with our team, you’ve got an insurance partner and advisor in your corner to help you navigate getting insurance for a pickup truck. All you have to do to get truck insurance quotes is fill out our online form or give us a call today.